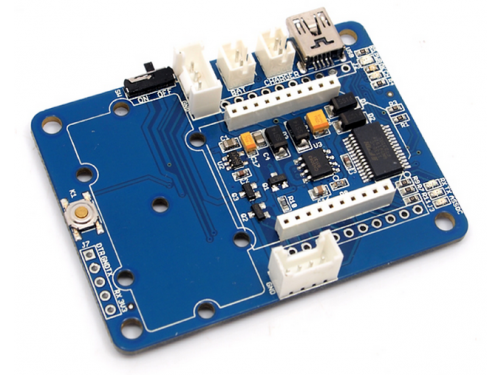 XBee Carrier is a Wireless Sensor Network (WSN) base board designed for Bee series and groves. 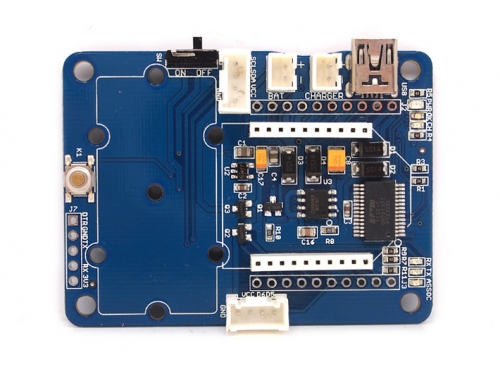 XBee Carrier is primarily suitable for standalone Bee Nodes like RFBee, Wifi Bee which have ATMega328 onboard. It is compatible with RFBee, Wifi Bee and XBee. Besides a Bee receptacle, there are also two Grove connectors. The board cab be powered by a lithium battery or through USB cable. You can use a Wireless charger, Solar Panel or the USB cable to charge the battery. 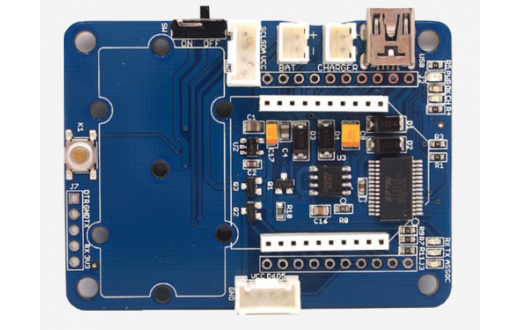 The FT232RL chip onboard helps in downloading the program to Bee Module directly. Bees which do not have ATMega328 can only be configured by using on-board FT232RL(USB to UART). Theses Bees are not suitable for standalone applications. 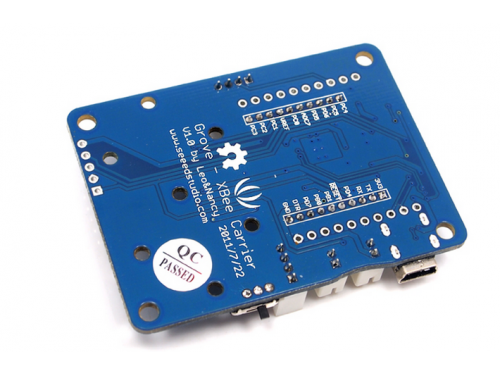 The on-board FT232RL can be used like any other 3.3V USB to UART interface when not connected to any Bee Modules. This is useful for programming a 3.3V MCU through Serial Port. LEDs for PWR, charge indication and UART transmission. 2.0mm pitch JST connector for Battery and Charger. Wireless Sensor Network with Standalone Bee Node like Wifi Bee. As a configuration aid for Bees using FT232RL. Charger for Lithium Ion Cells using on-board charge controller. As a FT232RL based 3.3v USB-UART.